A to Z Roofing offers full service residential re-roofing installation services in the Denver metro and Colorado Front Range areas. Since 1994, we have taken pride in offering customers the best quality products and services at honest prices. Our expertise and experience assures that our customer are completely satisfied when the job is done. 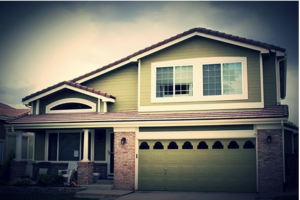 We provide full roof replacements, rebuilds, and restorations. About 75 percent of roofing work is re-roofing and repair due to hail or wind storms, age and wear. If you are eligible for an roofing insurance claim, our insurance claim experts will work with your insurance company through every step of the claim process. Your home’s roof plays an important role in protecting your property from various types of weather, and contains several layers of protection to prevent the elements from penetrating. If a roof is poorly installed, it can end up costing you significant amounts of money in repairs or replacement, in addition to the interior damage it may cause. A high quality roofing installation should include sound decking, underlayment, winter guard protection, flashing, shingles, and correct ventilation. Beware of roofers offering super low pricing or storm chasers. They often sidestep critical steps in the roof installation leading to severe problems in the future, and they and any workmanship warranty will be nowhere to be found. Enhance and protect your property by demanding a roofing installation that is done the right way. This will protect your home and all of your interior assets. A roofing installation that has been constructed with integrity is also energy efficient, and can help lower your cooling and heating utility bills. Our wide-ranging selection of residential roofing products provides you with several options regarding appearance, functionality, and pricing. We offer all roofing types from asphalt shingles to wood shakes. You will have no problem finding a roofing style you love that also fits your budget. Our goal is to install the roof that makes you happy and that can be enjoyed for years to come. Our quality of workmanship is backed up by our 10 Year Workmanship Warranty. You can be confident that a roof installed by our company will meet the highest quality standards in the industry. Our expertise is illustrated by the fact that we are certified roofing contractors for the leading brands including CertainTeed, GAF, Duro-Last, Owens Corning, Mule-Hide, and a Tile Roof Institute Certified Tile Installer. These credentials assure our customers that they are getting the best roofing materials and installation possible. In addition, these accreditations make the best warranties in the roofing industry available to our customers. Serving commercial and residential customers since 1994. Our expertise and experience is unparalleled. We are proud certified roofing contractors by CertainTeed, Duro-Last, GAF, Owens Corning, and TRI, giving you the best Manufacturer’s Warranties available. 10 Year Workmanship Warranty protects you from any problems due to installation issues. Our management team has been in the roofing industry over 25 years. We are fully licensed so you know you are not getting some fly by nighter roofing company. We are fully insured with Workman’s Compensation and Liability Coverage, giving you peace of mind. We are members of the Colorado Roofing Association. We are a Colorado owned and operated company, not an out of state storm chaser.